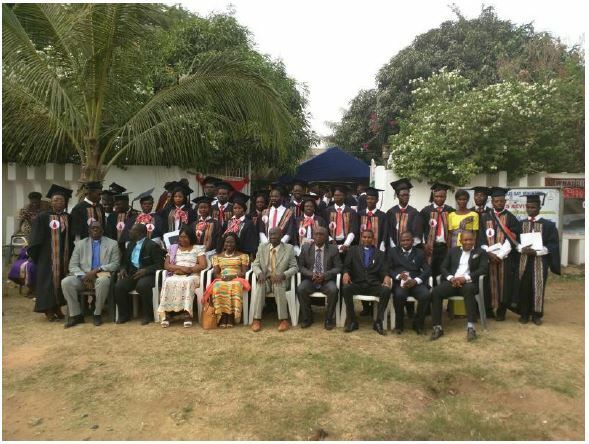 On Thursday, 26th of December, 2015, graduation services were held at Pastor Dankwas Church in Kwabenya, a suburb of Accra, Ghana. A total of fifty-five students graduated. They were: 28 – 1st year students 14 – 2nd year students and 13 – 3rd and final year students. In attendance were Pastors John Harrison and Steven Nartey, Boachie’s wife Dora, their grand-daughters Lydia, Etta and myself (Boachie). Below are photos of the presentation of certificates and awards. Others were the group pictures of the 1st, 2nd and 3rd year students.